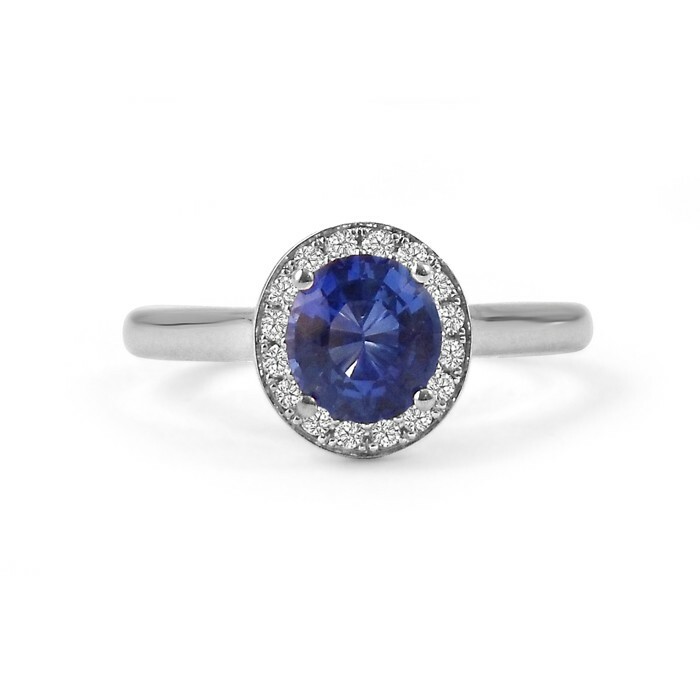 The sparkly halo of diamonds around the sapphire in this engagement ring give it an elegant, vintage feel. 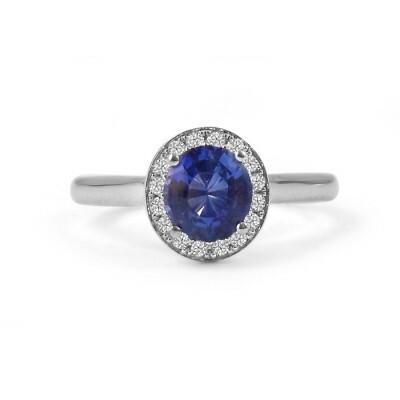 If you like this ring, you might also want to check out our Cushion Cut Sapphire Halo Engagement Ring. This ring is available in white gold, yellow gold, rose gold or platinum with sapphire, diamond or other gemstones.